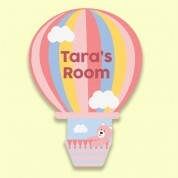 Our adorable girl bedroom door plaque will look gorgeous on display. 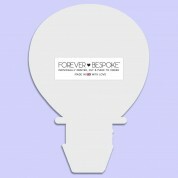 They will love to see their name printed on to the colourful design. 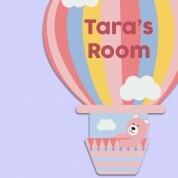 Little pink bear floats along the clouds in a colourful hot air balloon. 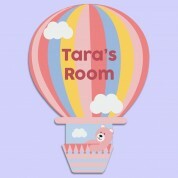 Her name is included on the stripy balloon pattern. Pink bear sits comfortably in her little balloon basket. We think the unique door sign makes a wonderful gift for a baby's Christening, Dedication, Confirmation or First birthday, though it would suit any occasion. She will love to learn the letters in her name whenever she looks at it.